Despite the problems Turkey has been facing, Germany-headquartered additives maker Baerlocher, is continuing to invest in its 40,000 tonne-year Baerlocher Kimya plant that was opened late last year, said Arne Schulle, CEO of the Baerlocher Group. The company is expanding with a logistics centre this year. The plant produces solid stabiliser one-packs concentrating on calcium-based products and is supported by a technical centre. “Turkey is an important logistic hub for us and we serve hundreds of customers located in Middle East, Africa, Russia, and the CIS countries from our Turkish plant,” Schulle added. 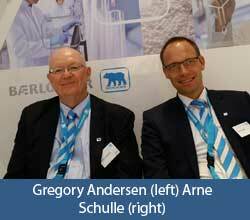 In terms of business, Schulle says, as a mid-size company, Baerlocher has expanded successfully organically. “The oleochemicals additives business comprises one-third of our portfolio and we are strong in the US and Europe,” said Schulle, adding that the company intends to accelerate new developments to add on to the existing portfolio. In this regard, Baerlocher launched a proprietary resin stabiliser technology called Baeropol RST, developed at its lab in the US, for stabilisation at the melt-phase of recycled and recycled content materials. The oleochemical-based RST is primarily aimed at polyolefins like PE and PP but is also said to be targeted at PS, nylons and polyacetals, too. The company has incorporated the RST technology into a line of preformulated polymer stabilisation one-packs known as Baeropol T-Blends. The latter combines traditional stabilisers with the properties of RST to provide economical stabilisation for the reprocessing markets, says the firm. In metallic stearates, RST can either totally eliminate secondary antioxidant phosphites or reduce the amount, allowing for 25% savings overall, explained Gregory Andersen, Business Manager, Baeropol Products. “Unlike phosphites, the RST technology has no solubility limitations and no plate out or gels in high-speed extrusion. This allows greater use of RST, which also costs less than phosphites. Moreover, it promotes improved colourability, with better whiteness and less yellowing,” explained Andersen, adding that the firm is working with major compounders including chemical companies like Germany-based BASF and US-headquartered ExxonMobil. Meanwhile, the company ended production of lead-based stabilisers at its European plants in Germany, UK, France and Italy, last year, and has transited to calcium-based stabilisers for PVC. Baerlocher is also pushing the shift toward more sustainable PVC stabilisers beyond Europe, with plans for the expansion of its production plant in Changzhou, China, as well as at its plant in Malaysia, focusing entirely on Ca-based stabilisers,. When asked about Asia, Schulle says that interest is high in the Southeast Asian markets that have “arrived at the forefront of the conversion process without any regulations”. “The China Plastic Pipe Association (CPPA) has recommended a Pb-phase out by 2017 and is recommending environmental friendly stabilisers as a key success factor to PVC pipe development in China.” However, he said India would take a bit more time to embrace the conversion process.